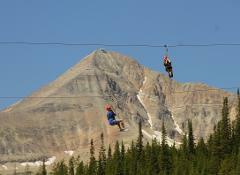 Zipline Adventure Park "Adventure Pass"
Get ready for your high flying adventure! 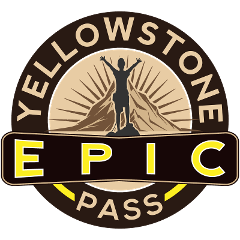 The Zipline Adventure Park in West Yellowstone features the countries only self navigating ziplines and 49 adventure course elements as high as fifty feet off the ground. 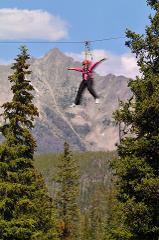 Pair any of our half day rafting adventures on the Gallatin with a high flying Adventure Zipline tour of Big Sky Resort. Don't worry, we'll make sure you get a lunch break! Pair any of our half day rafting adventures on the Gallatin with a guided trip through the treetops of Big Sky Resort with the Nature Zip tour. Don't worry, we include an awesome lunch to keep you fueled up! Zipline Adventure Park "Full Day Pass"